On Thursday, during a hearing in Silivri Prison, lawyer Ömer Kavili argued with judges of the Istanbul 28th High Criminal Court on a procedural issue, and subsequently thrown out from the hearing room by having battered by the gendarme guards. On Friday (5th October) morning, he was taken into custody in accordance with an order issued by Silivri Prosecutorial Office. After having interrogated by judge, lawyer Kavili was arrested by Silivri Peace Criminal Judge with charge of insulting public officers. The reports said that the judges had a procedural dispute with lawyer Ömer Kavili during the hearing on Thursday. Following the discussion, the chief judge of the court asked Kavili to be removed from the court. As Kavili reacted against this arbitrary decision, he was taken out by the security forces which used excessive force. The chief judge also filed a criminal complaint against lawyer Ömer Kavili and lawyer Nadide Özdemir on Thursday. Peace Criminal Judgeships are called special project courts that were introduced by Erdoğan on June 22, 2014 to persecute his critics. Exclusively authorized to carry out all investigatory processes including detention, arrest, property seizure and search warrants, penal judges of peace were handpicked by the government from among loyalists and partisans who pursued a witch-hunt primarily against members of the Gülen movement and the Kurdish political movement, who are treated as enemies by the government. As appeals against decisions by a penal judge of peace can be filed only with another penal judge of peace, this creates a “closed circuit” system that has drawn harsh criticism from PACE and the Venice Commission. The Venice Commission dealt with these courts when Cesar Florin Preda, chair of the Monitoring Committee of the Parliamentary Assembly of the Council of Europe (PACE), requested an opinion on the duties, competences and functioning of the penal judges of peace on May 25, 2016. The Venice Commission issued its opinion on March13, 2017 and said their jurisdiction and practices give rise to numerous concerns. 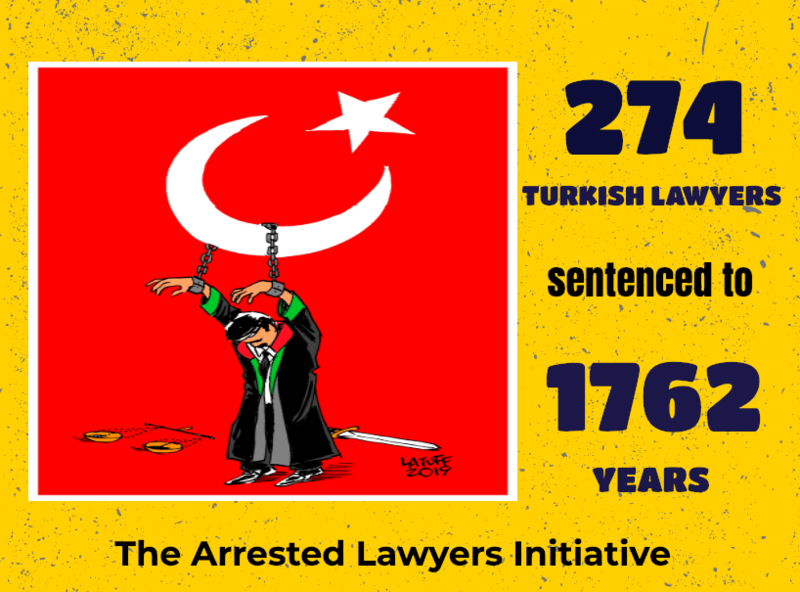 According to data compiled by the Arrested Lawyers Initiative, Mr. Kavili is the 592nd lawyer who have been arrested since the July of 2016, moreover, 182 of those lawyers have been sentenced to long imprisonment, ranging from 4 to 14 years, with the charge of being member of an armed terrorist organisation.